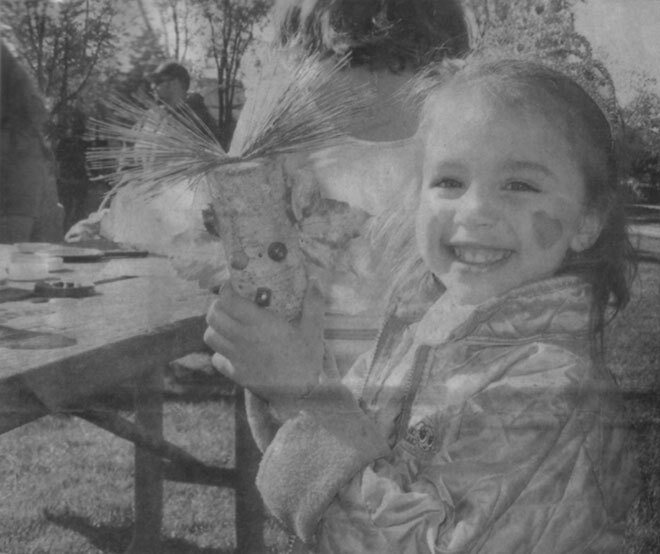 Amber Lyn MacDonald, 3, made her forest fairy friend Saturday during a Week of the Child kick-off event in Memorial Park. Week of the Child is from Oct. 15-23.
come out and do whatever is available, without having to pay." Organizers of the Week of the Child want to send the clear message that kids are an important part of our community, Barber said. "They are not just our future, they are right now," she said. "When they are marching down the street and the cars have to wait for them, that says they are important. And when they are in this park on a Saturday and filling Market Square, that shows they are a presence in our community and they are important in and of themselves." Visit www.weekofthechild.ca to learn more about upcoming events and activities.